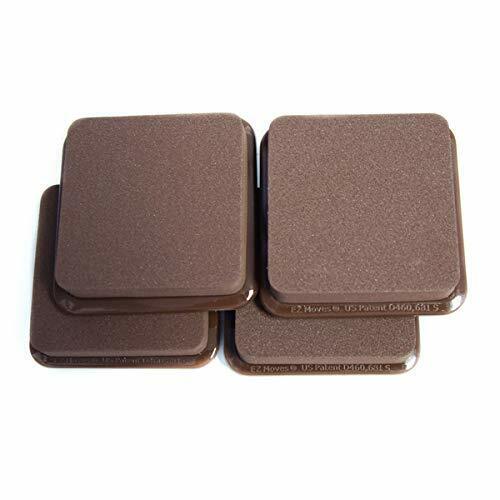 Ultra smooth base allows for easy movement over most floor surfaces; even thick carpet! They are designed for permanent placement under the heaviest furniture. Made of high density 1/2″ thick EVA foam which conforms to anything placed on it. The weight of the furniture is all that is needed to keep the sliders in place. 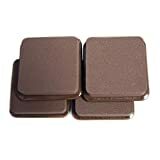 Price listed is per set of 4 Dark Brown Slides by EZ Moves.